Need some last minute Christmas menu planning ideas? 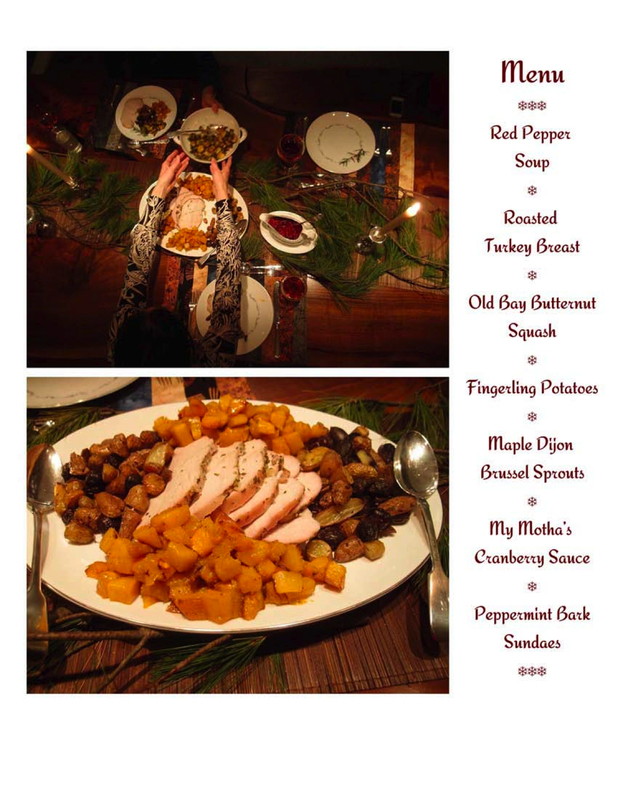 Maybe you can find some inspiration from spread of Athlete Food from last year's Christmas Eve dinner. The highlight of this meal was the dessert. In an attempt to recreate the special Christmas candy cane ice cream SJ remembered from growing up in Canada, I made Peppermint Bark Sundaes. The sundaes are easy to assemble: just top the best quality vanilla ice cream you can find (we used Jane's from the Hudson Valley) with crushed or chopped dark chocolate peppermint bark, preferably from a homemade chocolate shop. What I liked most about this dessert (other than that it involves ice cream) is that it's simple to prepare. With all the roasting to be done with the turkey and vegeatables, who wants to fuss with the oven for dessert? Actually, I'm not fussing over dinner at all this year. Instead, I'm banking my energy for the baby's arrival and skipping cooking for the day. We're heading out to a restaurant instead!